Heat the Oil and add the sliced Onions. Fry for 2 mins and then add the Garlic, ginger and the Red Chillies and fry for about 15-20 seconds. Then add the pork pieces and cook for 5 mins. Then add salt and the roasted Cumin powder ( the dark brown color of the roasted cumin gives the vindaloo a nice dark color and a unique taste ! ) and chilli powder and fry for another 2 mins. Add 1 medium size cup of water and cook the meat on a slow flame. 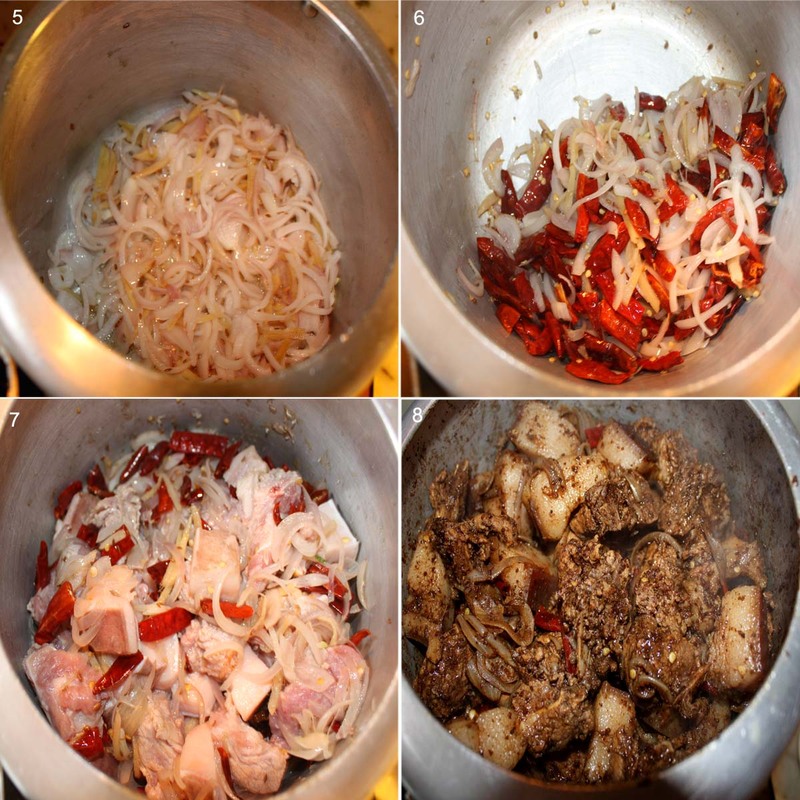 Let the meat simmer on a low fire as the meat soaks in the masala and gets cooked. To make this dish faster with the same results, I normally make it in a pressure cooker. The steps three steps remain the same. After add the water, I pressure cook the meat for 15 mins and then cook it in the open with the cover. If you see extra water, then you can cook it on high flame for few minutes so that the gravy becomes thick. After the meat is cooked, add the Vinegar, Mix well and keep it aside for 1 hour before serving. Taste better if it is cooked a day in advance. 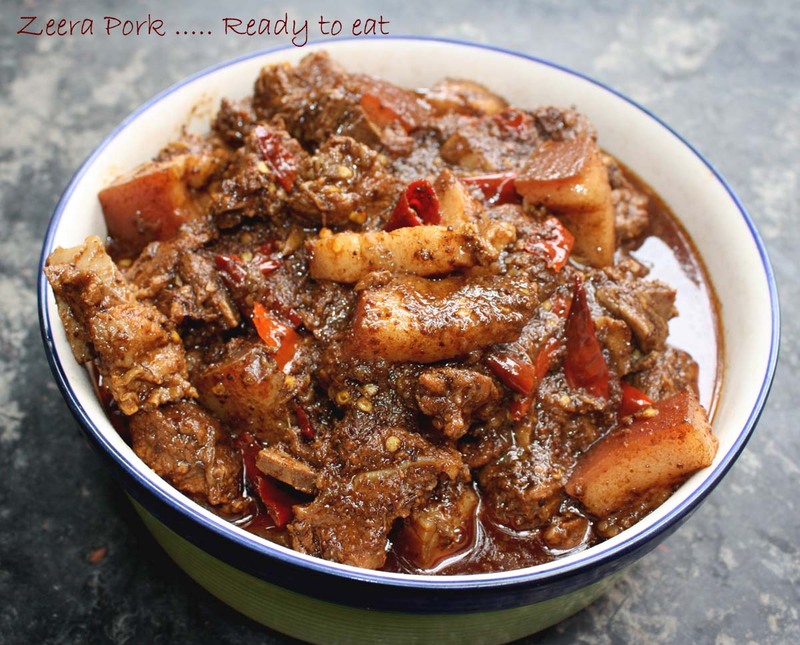 This entry was posted in Pork and tagged Pickle, Vindaloo, Zeera Pork by Kamakshi. Bookmark the permalink. Hi Dear ! I really enjoyed trying your recipes and thank you so much for sharing ) I’ ll really appreciate if you are more precise with your amount..especially with tsp and tbsp. 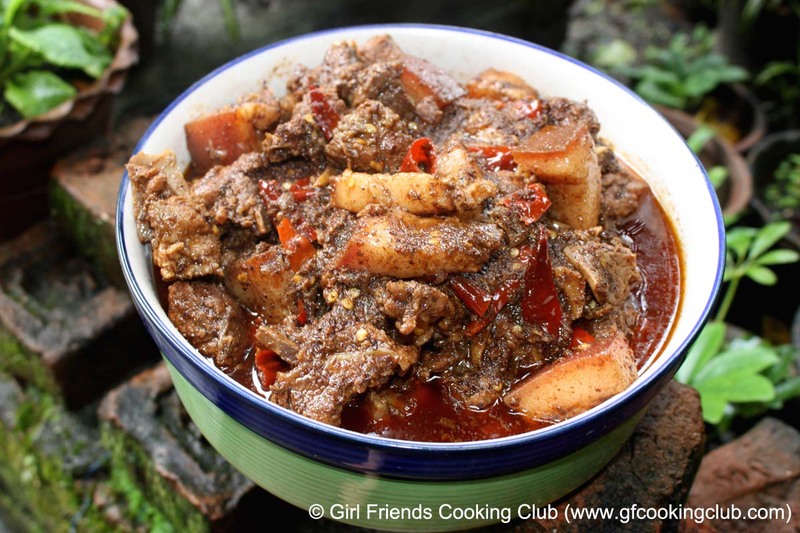 I found ur site on google as I was looking for some good nepali recipes to cook my partner. 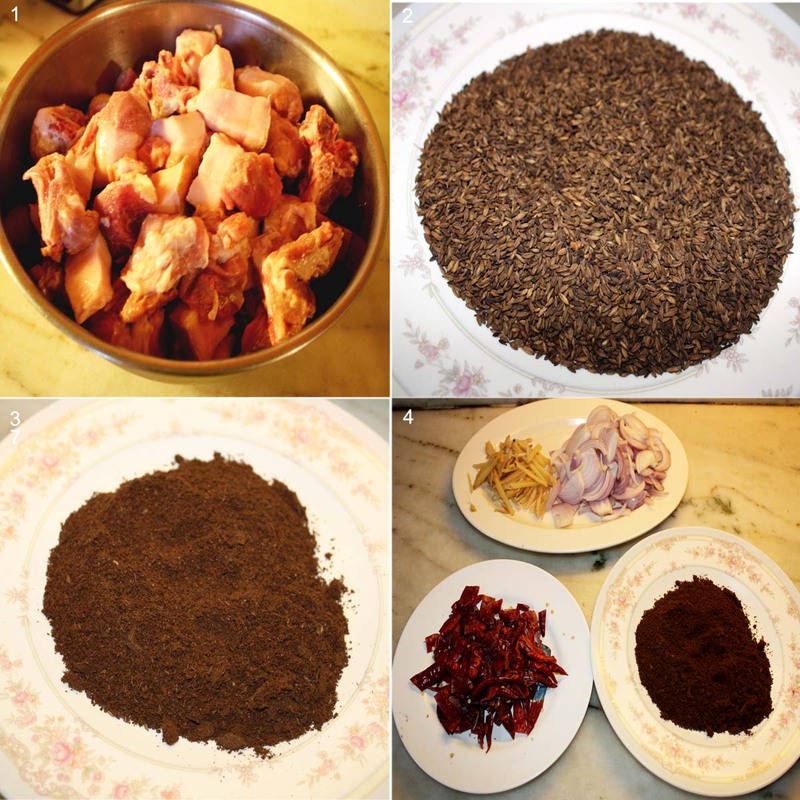 I’m so glad I found this recipe, it was a big hit in my house as my partner is from Darjeeling and couldn’t believe how much it tasted like home. I recommend this dish to everyone. Thank you and can’t wait for more recipes to come.